Sunday, 25 November is ‘Stir-up Sunday’, so make your favourite Good Housekeeping Christmas pudding recipe and stir to make a wish! On the secular customs and traditions of Stir-Up Sunday – e.g., the making of the Christmas Pudding! siggi’s icelandic-style yogurt uses simple ingredients and not a lot of sugar. it’s thick, creamy, rich in protein and packed with probiotic milk cultures. I don’t often do product reviews, still less promotions, and it takes a lot to impress me. But if you, like me, think that most of the yogurts in today’s marketplace are WAY too sweet (and/or have too many artificial ingredients) – or if you are interested in getting in touch with your Norse heritage through your taste-buds, or both – you might want to consider giving siggi’s a try. Found in the yogurt section (and called “yogurt” in the same way taekwondo is often called “karate”), it is actually Icelandic-style skyr, a close relative to but not identical with yogurt, or (in the case of the drinkable varieties) fil mjolk, also an Icelandic specialty. Rules was established by Thomas Rule in 1798 making it the oldest restaurant in London. It serves traditional British food, specialising in classic game. Source: Oldest restaurant in London. It serves traditional British food. Rules restaurant, at 35 Maiden Lane, Convent Garden, London, “serves the traditional food of this country at its best – and at affordable prices. It specialises in classic game cookery, oysters, pies and puddings.” I must confess, their version of “affordable” is not exactly mine (a situation often the case here in the U.S., as well), but I would nonetheless love to go there! With that, I cannot disagree! An old English recipe from Nathan Bailey’s 1736 cookbook, “Dictionarium Domesticum,” courtesy of Jas. Townsend & Sons. Sounds tasty! Today we purchase most of our food from a supermarket; our pharmaceuticals and cleansers are largely synthetic. Many of us tend purely ornamental flower borders. We are far removed from medieval times when gardens were essential for survival, and plants grown for food, medicine and enjoyment were often one and the same. Two of my greatest loves are the Middle Ages and gardening – herbal and vegetable gardening, in particular. Indeed, one of the reasons I love herbalism so much is that it combines my love of nature and the outdoors with my love of history! 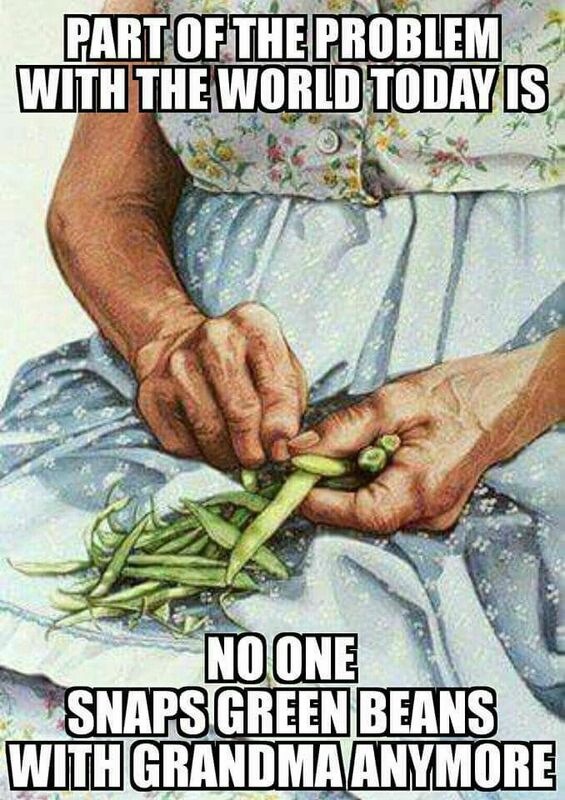 Humans have had gardens for at least as long as we have been a largely settled people; that is to say, probably pretty much since the neolithic period. But a remarkable number of our gardening and agricultural practices – I am speaking of traditional ones, mind you, not industrial agriculture! – may be traced back to the medieval period, and particularly to monastic farms and gardens. These include double-digging and marling, crop rotation (e.g., letting fields lie fallow for a time), and the use of “manure” (as used in earlier ages, a mixture of animal dung with other types of what we would now call compostable materials). 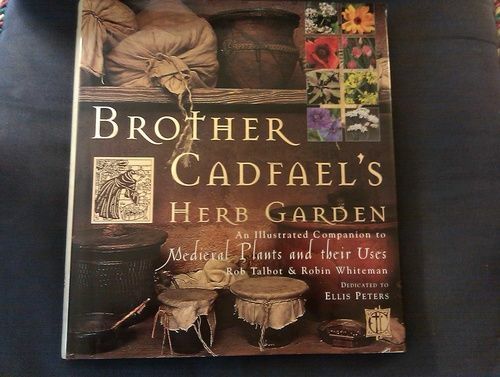 Many of us may be familiar with Ellis Peters’ superb “Chronicles of Brother Cadfael” serious of medieval crime fiction, in which the lead character, Brother Cadfael himself, was Benedictine monk-herbalist (and former Crusader) in 12th century Shrewsbury. His primary occupation in the monastery was growing herbs and keeping an herbal apothecary, from which he assisted both brothers of the Abbey of St. Peter and St. Paul and also local townsfolk with their various ills and injuries, but in the usual manner of literary detectives, crimes and mysteries in need of solutions kept finding him! The Brother Cadfael chronicles are works of fiction, of course; but Edith Pargeter (whose pen name was Ellis Peters) was an academically-trained medievalist, and her research was solid. Medieval monks really were avid gardeners and farmers; they had to be, to support their foundations. The Rule of St. Benedict required that monks support themselves by their own labours – ora et labora (prayer and work) was a major axiom of the Benedictine Rule. And of course, in an agrarian society like the Middle Ages, that largely meant farming, although of course monks also did many other things, in addition (manuscript-making, running hospitals and guest-houses, bread-baking, and beer-brewing, to name just a few). Notably, all of these (including manuscript-making, as medieval manuscripts were scriven on vellum or parchment, made from specially-prepared animal skins) were also closely linked with gardening and/or farming. At any rate, for a variety of reasons – whether a love of history, especially medieval history, a desire to recapture and practice traditional arts and crafts, or as a hedge against a possible crisis which would require greater self-sufficiency, among others – some of us might want to consider recreating a medieval garden, or elements thereof, as our circumstances allow. The above-linked article by Gwen Bruno provides an excellent general history of the medieval garden, and thus inspiration for the endeavor. For additional inspiration, as well as helpful hints and suggestions on how to do it, and a variety of useful resources and instructions on historical gardening in general, I recommend Designing a Medieval Garden, on the Wyrtig blog. If your goal is primarily medicinal, you might also want to consult English Heritage‘s “What to Grow in a Medieval Garden,” which lists nine of the most commonly-grown medieval medicinal herbs. I’m a bit late in the day for this week, but perhaps some inspiration for next Sunday…? Read on for more! See also How to Cook the Perfect Sunday Roast, these Tips and Recipes for Cooking the Roast Beef, and of course, this guide to cooking the Traditional Yorkshire Pudding that is the classic accompaniment to the Sunday roast. My own dear late mother cooked a roast of beef, with most of the traditional accompaniments (sans Yorkshire pudding), for midday dinner every Sunday through most of my childhood and into young adulthood. It was such a fixture that one of my brother’s girlfriends was once reported as asking, “Does she know how to cook anything else?” – since she only came over for dinner on Sundays, and of course, that was what was on the menu! Ma’s version was of the “pot-roast” variety – the beef, potatoes, onions, carrots, and sometimes celery were cooked in the pressure-cooker, while we were at church, rather than in the oven, and she served it with “essence” (what the French would call au jus), rather than gravy – but for all that, it was nonetheless a continuation of the old tradition, and one I must say I rather miss.